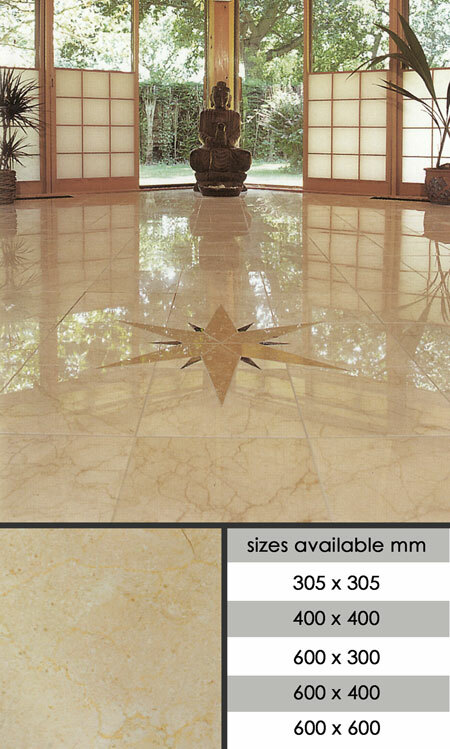 This warm cream marble tile with its pale pinky veining makes this one of the most popular marble tiles available. Suitable for both floors and walls the Crema Marfil Marble floor tiles shown are 305mm x 305mm x 10mm thickness but other tile sizes are also available. Marble centre motif available by special order. * Ideal for floor & walls. * Available in 3 tiles sizes.